UK-based skincare brand Elemis has finally landed in the US at QVC.com and I couldn't be more excited! My first experience with Elemis was on a Caribbean cruise...the spa on the ship used the products during my facial and I remember my skin looked amazing for the rest of the trip. When I got home, I wanted to purchase some of the products but couldn't find them anywhere...then I was kicking myself that I didn't just buy them on the cruise. Thankfully, QVC now carries a large range of Elemis products and they also have a Pro Collagen 3-piece Skincare Set that contains three of their best selling products for $48.50 (a $157.70 value). QVC and Elemis were kind enough to send me all of the products in the kit to try for myself and I've been using them for the past three weeks. Here are my thoughts! Before I get into detail on the individual products, I wanted to briefly talk about a unique ingredient that Elemis uses in their products called Padina Pavonica. It's a Mediterranean algae with clinically proven anti-aging benefits. It has been shown in studies to stimulate glycosaminoglycans (GAG's) which are responsible for moisturization, firmness, and elasticity of the skin (supporting and maintaining collagen and elastin). Basically, it helps you get that "bounce" back. All three of the products that I'll be reviewing today contain Padina Pavonica, so this kit is perfect for someone who is concerned about aging and wants to turn back the clock. Pro Collagen Cleansing Balm is a spa experience every time I cleanse my face. Unlike many cleansing balms that are made with mineral oils, this is made with floral waxes like Mimosa and Rose, plus UK Starflower Oil, UK Elderberry Seed Oil, UK Optimega Oil, Coconut Oil, Shea Butter, Sweet Almond Oil, Vitamin E, and Padina Pavonica It has a super soft, melty texture that feels like butter and it has a really soothing scent...I'm thinking lavender? I massage it into dry skin and my makeup just liquifies right away. Then I use a wet washcloth to remove it and give my skin a gentle exfoliation. You can also use it as a weekly nourishing facial mask. 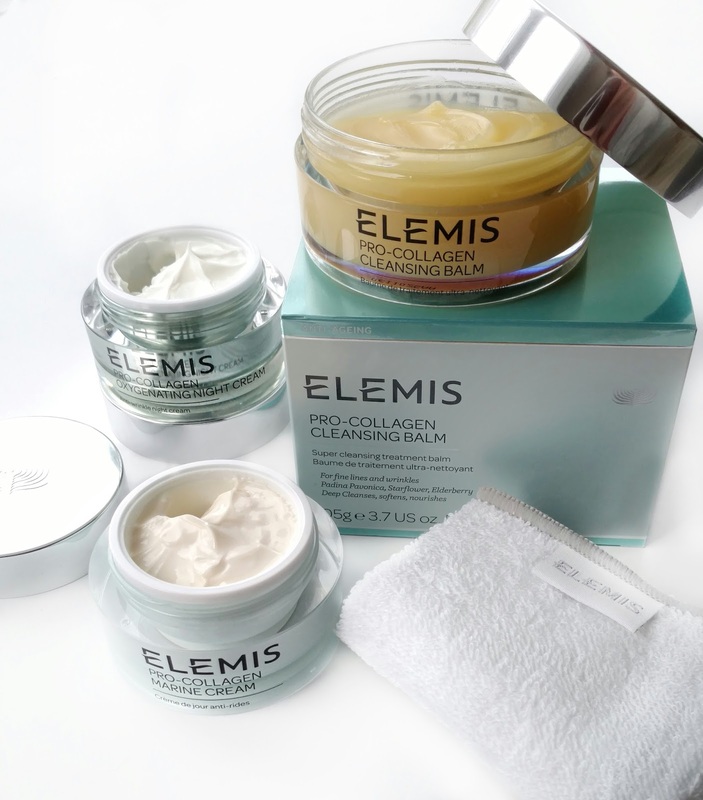 Pro-Collagen Marine Cream is probably Elemis' most famous product. It's a lightweight cream with a gel-like texture that sinks right into my skin without feeling greasy, which makes it a great for using in the daytime under makeup. It contains Padina Pavonica and was shown in an independent clinical study to reduce the appearance of fine lines and wrinkles in as little as 14 days, which is amazing! Not only does it firm your skin, but it also provides protection from free-radical attacks as you're going about your day. Pro Collagen Oxygenating Night Cream is a little heavier than the Marine Cream and feels rich and moisturizing on my dry skin...perfect for a night treatment. It also contains Padina Pavonica to firm and repair the skin overnight. When I wake up in the morning, my skin feels hydrated and plumped and feels baby soft. I do want to mention that the moisturizers have a floral-type scent in case anyone is sensitive to fragrance in their skincare products. The cleansing balm's fragrance comes from the many oils and waxes that are present in the formula, rather than any added perfume. 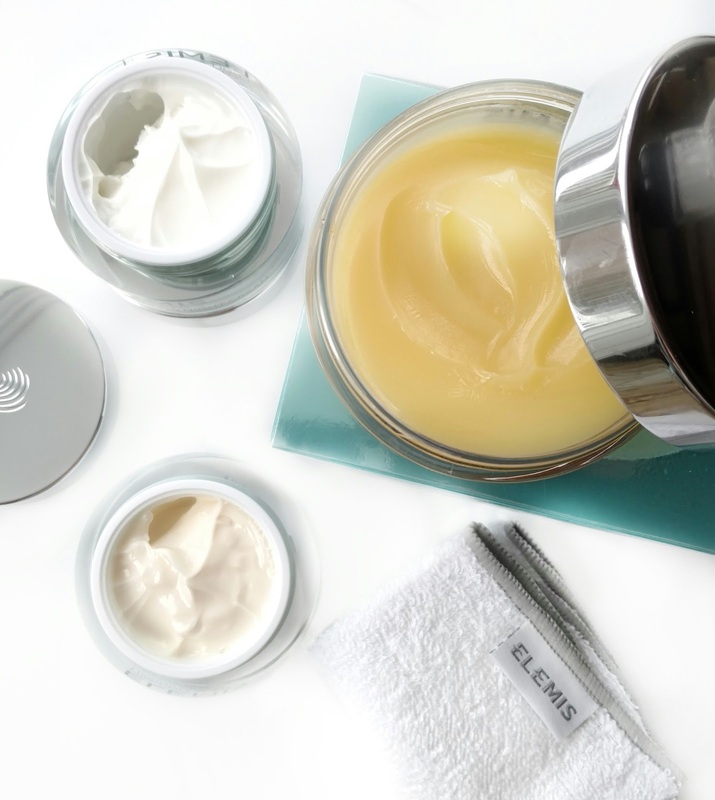 Overall, my experience with Elemis has been wonderful and I can't wait to try more products from the line! 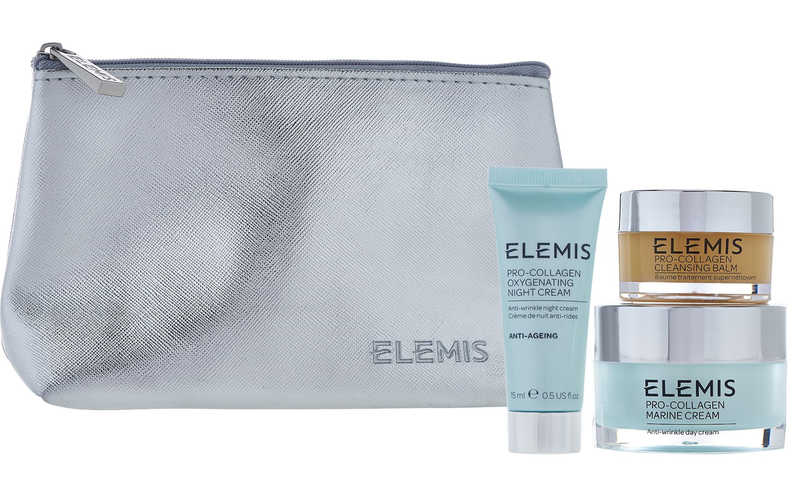 If you're looking for a new skincare brand to try, I recommend picking up the 3-piece kit from Elemis. 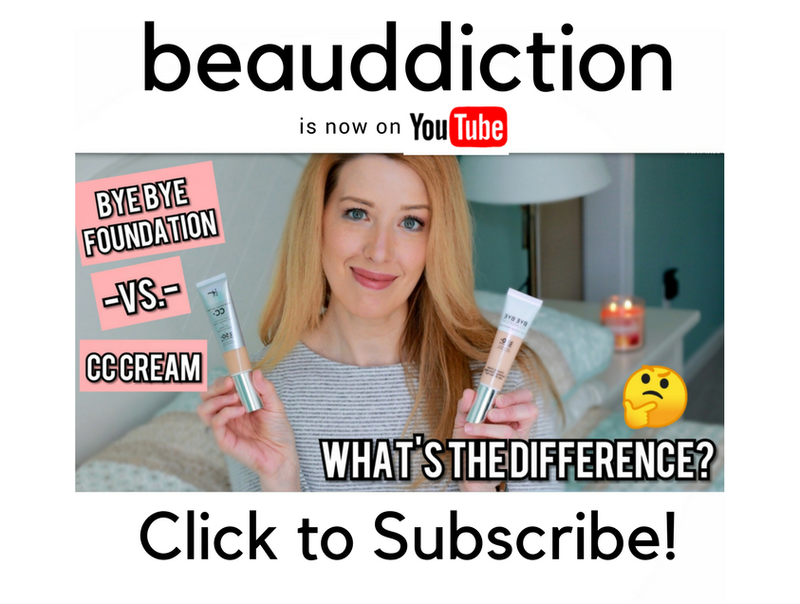 It's a great way to try their best-selling products without a huge commitment and QVC has a great return policy if the products don't agree with your skin. Disclosure: This post contains PR Samples & Affiliate Links. This post is perfect timing! I was just about to order another tube of Laura Geller Spackle from QVC and I'm almost out of my Kate Somerville moisturizer so I might just try this set. It sounds like just what I need as I am starting to see more fine lines crop up lately (I'm 41). I have been seeing fine lines creep in and my skin isn't as firm as it once was. I was thinking about getting Botox but I might try this first. It can't hurt and is much less expensive. Seeing results in 14 days in the studies is quite impressive! Sounds great! I love the new site and name by the way. Very sleek and clean! I ordered the Pro Collagen Marine Cream from Nordstrom last month and I love the results I've been getting from it. I can see real improvement in my 11 wrinkles and the marionette lines. My only complaint is that it has a floral smell that reminds me of my grandma's perfume. I only smell it for a few seconds as I'm applying it and then it goes away but I do wish they would consider an unscented version. New Hard Candy Spring 2017 Spotted at Walmart! Ulta Beauty Break- 4 Hours Only! Subscribe by Email Button is Up! New NYX Available at Ulta + BOGO 50% Off!